New Media -- You Are What You Write? Content is King said Bill Gates some 12 years ago and I concur. And true enough content is much more urgent in the new media now than ever with the flooding of smart phones, tablets and digital devices the world over. A friend of mine bought a Playbook and couldn’t stop cursing it for the lack of contents; she ended up using the Playbook as a digital photo frame placed in the bedroom. The demand for interesting apps grew spectacularly when the iPad and Galaxy Tab were introduced into the market. Google and Wiki has become common terms to mean looking for information in the Internet. Though not all information gathered via Google is reliable, it provides vast amount of information from various sources. When Steve Jobs passed away, the news hit the world like a storm, everybody tweeted the about it, Facebook walls were filled with condolences, blogs started talking about the great man he was, news portals filled with stories about him. Contents about Steve Jobs were churned and dug swiftly to satisfy the audience who were waiting to read more about the man who gave more meaning to the letter ‘i’ . The world literally stopped to announce his passing and I’m pretty sure “Steve Jobs” was the top Google search word the next couple of weeks following the news. Nowadays, news is not lagged anymore. It’s all realtime. I was so shocked to read the tweet that Guiliana Rancic, my favorite E! News newscaster, was recently diagnosed with breast cancer when she was going for fertility treatment. And I received the news the same time the Americans did. The news drove people to search for information about breast cancer and its possible treatments. When news is literally at your fingertips, you are indeed what you write. People tend to believe what’s being written out there. As celebrities, it’s impossible to shy away from all the publicity irrespective of the truth but as a brand of a product, you can create and recreate your brand’s image away. Audiences relate through actual experience, real participation. Renowned brands like Adidas and Nike promote healthy lifestyles by organizing marathons and sports related events, inviting interested groups to talk about in the social media and the new media. Cosmetics like Elizabeth Arden highlight cancer awareness by printing the logo on the product packaging. Timberland, an active outdoor sports brand stresses on the importance of recycling with the introduction of their Earthkeepers line that use recycled materials for shoes. What’s your brand’s cause? What does your brand stand up for? Apart from placing importance on the products, people relate better with causes and real participations. And while you are at that, write away and improve that brand’s image simultaneously. It's the age of wireless technology. Wires are so last century. 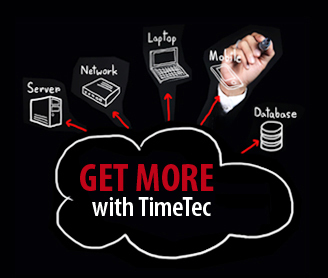 If you want to get some really cool office gadgets, consider Fingertec's wireless biometric time clocks and door locks. They offer time attendance, door lock, and access control fingerprint systems. The benefits of wireless models is that you can update them remotely, not having to relocate them to a computer for connectivity. Of course, you still have the option of USB connectivity if you are having issues with your internet being down but it definitely would save you the trouble to go wireless. Even through the wireless features, the security of the finger scanner is thorough with access control models. They curb unauthorized access via a keyless device. The wireless features are only one convenient aspect of these models, too. Many of these machines also have multiple verification systems to boost their ease of use and customizable systems. You can use fingerprint scans along with work codes and RFID cards. 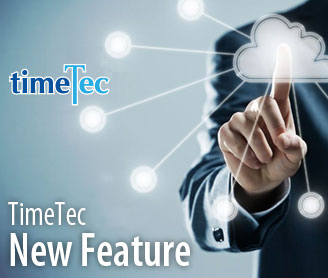 The software is easy to understand and you can set features to track employee movement. Wireless technology is a huge benefit. Considering the fact that being able to change the device even when you're not near it means never having to worry in case of emergencies, it is worth the investment. We all know that a great man has died earlier this month. We have little doubt the company he led; Apple Inc would overshoot Exxon Mobil to become the largest market capitalization company in the world anytime soon. We all know the reactions to his death were awe-inspiring, with mourners leaving candles and flowers outside Apple stores around the world and the Internet was humming with tributes. As consumers, we all like the gadgets that the company produces be it iPod, iPad, and iPhone that are managed by iOS, iTunes and iCloud. 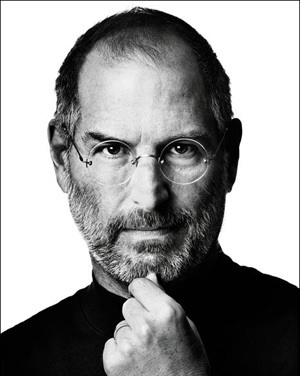 Yes, Steve Jobs indeed was a great man, and he had made the world a better place with his incredible electronic products. But if anyone says that he had changed or reshaped the world, I think it is an overstatement. Without Apple, the world would still be conquered by smartphones, tablet PCs, cloud technology, voice-command devices and digital music players, perhaps by different brands with a slower pace. Jobs perfected these gadgets; either he took the lead or fell behind in the game, eventually he succeeded in arousing consumers with a vast magnetic impact to the market. The Economist concluded that Steve Jobs had ignited a revolution in sparking a trend towards personal technology. The weekly also praised his non-engineer background as an advantage, which redirected him to be obsessed with product designs and aesthetics, and made advanced technology simple to use. He took the readily available yet half-baked ideas i.e. the mouse driven computers, the digital music players, the smartphones, the tablet computers – and he showed the rest of the industry how to make them properly. In the process, he triggered upheavals in computing, music, telecoms and news business that were painful for incumbent firms but were welcomed by millions of consumers. He combined an emotional spark with computer technology, and made the resulting products felt personal. Despite all these achievements, he still didn’t change the world even if his fans would like to think so. If I have to quote a person that had really changed the world in the modern history, Sir Timothy John Berners-Lee would definitely be the person. 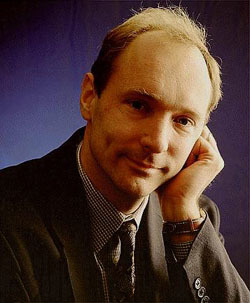 Born in 1955, the same age as Jobs, he is a British computer scientist and MIT professor, credited as the inventor of the World Wide Web, making the first proposal for it in March 1989. On the 25 December 1990, with the help of Robert Cailliau and a young student at CERN, he implemented the first successful communication between Hypertext Transfer Protocol (HTTP) client and server via the Internet. How the Internet has changed the entire world since then? How many Internet giants have emerged or companies like Apple have reemerged on the foundation of the World Wide Web? It is needless to mention because the rest is history. Although Berners-Lee is the director of the World Wide Web Consortium (M3C), which oversees the Web’s continued development, and holds many other positions as far as the Internet is concerned, he remained anonymous to many people. If he has to claim IP rights over the Internet licenses, he would probably become the richest man on earth. 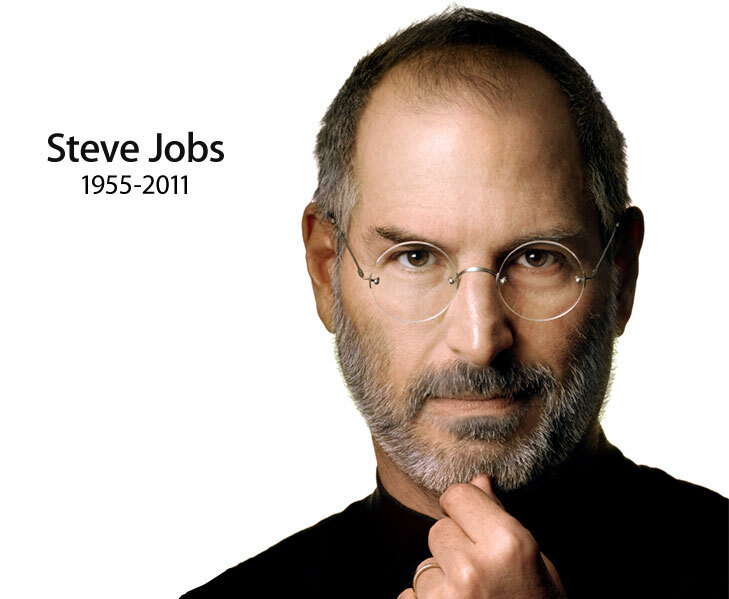 When we mourn Steve Jobs, we shouldn’t be overzealously deified him and forgetting the real heroes behind all his successes. I always feel that changing the world shouldn’t be our ambition. Anyone can make the world a little different, but it should come with the intention to make the world a better place. Sir Isaac Newton who discovered the gravitation had changed the world, and Albert Einstein who developed the theory of general relativity also had changed the world. Those incidents were accidental without an attached ambition to start with. A man who had the ambition to only change the world could become as ruthless as Hitler. We are not that ambitious to be as great as Steve Jobs, but we can make little positive differences in the company or in the industry we serve. And with all the little differences we gathered over times, we could improve our products to be great products and help our company to emerge as a great company, and eventually we could become a great person in the process. That’s the way FingerTec soared beyond Biometrics. FingerTec has the perfect package for home security. The H2i fingerprint door lock is an ideal model for home use because of its ease of use and small size. Biometrics are a smart decision for home access, since the only people you want getting into your home are your family and those you invite. This ingenious system was built so that you and your family can sleep soundly. Your home is a sacred place and you want to keep it that way! With biometrics you can't go wrong. The H2i has a very easy interface and can store up to 1500 fingerplate templates and it comes with five complimentary RFID cards should you get tired of having to use your prints. It is also a voice-guided system and comes with a manual to explain how to enroll user access. The home package has a tamper-free controller called AdapTec Plus which you should store away from the terminal for total control of the system. The fingerprint reader software can be used for main entrances as well as door access to the garage, studio, what have you. It keeps small children out of harm's way in rooms with hardware or tools, like a workshop. It's applicable wherever you may need it. An audit officer from the Brand Award Committee asked us whether we were committed to any charity work in the past three years. And if yes, they needed us to show them proof. In fact, I kept no proper receipts even though we have regularly donated to some organizations and on and off sponsored some charity activities. Back in the day, I came across bitter experiences when soliciting donations during my school days. “Can my donation be exempted from tax?” was the very first question most company bosses that we approached would ask even though they donated to our extra-curricular activities. During my university years, the funds allocated by the authority to each society were peanuts for the whole year’s expenses, far too low to meet the balance for the largest and most active society, which I joined and was a committee in my sophomore year. And the state-owned university made the fundraising harder when all societies were prohibited to open their own bank accounts, and all public donations had to go to a centralized university account. Channeling the donated fund back to your society was the hardest process, we needed to file a lot of papers and answered a myriad of queries; furthermore the Student Affair Council had the rights to redistribute your fund to other societies. Even when you were lucky, the “discounted” fund would reach you definitely long after the activities had ended. To solve the ‘problem’, we had to use our personal bank accounts when soliciting donation. There were some donors who agreed to donate without tax exemption letter but they would eye us suspiciously when we told them to issue the cheque to a personal account. As a result, we always had to work harder or on a tight budget to support our activities. Hence, when big corporations make some annual tax-exempted donations usually to the orphanages and old folk homes, or much willingly participate in some high profile charity events that would be placed their photos in the papers, I choose to donate to societies and activities that are under privilege and low profile, or to some NGOs that promote human rights or some minority rights programs. And of course, the society that I joined during my university days is also in the recipients list. But it was sad to learn that after so many years, their predicament persisted. Yes, I have more to say when it comes to charity work as part of the integral social responsibility. 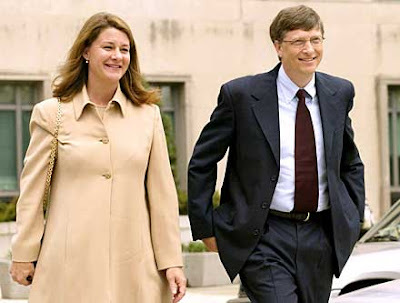 For example, the world applauded the formation of Bill and Melinda Gates Foundation initiated by Microsoft boss Bill Gates with an endowment of USD33.5 billion as of 31 December 2009, to enhance healthcare and reduce extreme poverty, and in America, to expand educational opportunities and access to information technology. Nevertheless, I still think it would be better if Bill Gates can do more with the resources his company owned. 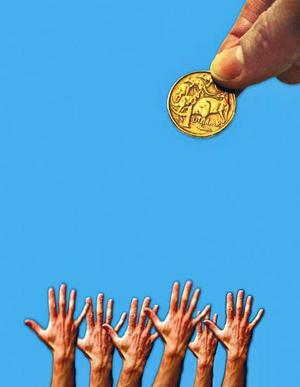 Become a philanthropist only after retired? In fact, the devotion to charity work shouldn’t have come only after Bill Gates retired from his corporate life. It can always be a part of it. For instance, why not have Microsoft give away their older versions of the operating system and software to the people of the poor countries to narrow the digital gap between the rich and the poor? As Microsoft has still been dominating the PC market in the last two decades, this would be a more practical aid to help the world. You might be a nobody or a somebody, you might earn only a little or you might be a multimillionaire, but when the conscience bell is tolled, don’t wait until someone entices you with a tax exemption letter, and don’t wait until you become a retiree; contribute in whatsoever way that fits you. Just like the Google Executive Wael Ghonim took the online activism to a new level when the revolution erupted in Egypt earlier this year, he doesn’t wait when his countrymen needed him. And, I joined the Bersih 2.0 mass rally to call for a cleaner and fairer election in Malaysia on 9th July. Who says a Chief Executive Officer can’t take part in a street protest? As with all new technology, biometrics is establishing an identity with audiences. Industry leaders understand that in order for a technology to really be accepted by the public and to mainstream effectively its benefits and potential must be well explained. People define identity as a very personal thing. The idea of technology recognizing features can be misconstrued as invasive, but this really isn't the purpose. Biometrics are intended to make life easier. Iris and fingerprint reader software are meant as a convenience and as a security measure. The potential of biometrics is astounding. For business it saves time, it saves money, and it keeps everything organized. Employees can rest assured knowing that their payroll will be accurate because of the biometric time clock and bosses don't have to fumble with human error conflicts. Even office security is enhanced. With a fingerprint door lock you know that your hard work is protected and that your office remains a safe environment. Finger scanner software can be applied to many things. It's just the gateway access point for approving any number of beneficial tasks. It can eventually be mainstreamed to allow doctors and pharmacists to approve prescriptions, students to access universities, computers and personal computing items to identify owners, etc. As long as it is paired with well-constructed matrices, it takes convenience and ease of use to a new level. Everybody Needs To Do A Noodle Dance! Anybody who has kids that watch Disney channel would know what is a Noodle Dance. When PB & J otter stumble upon a problem, they would do a Noodle Dance to find the answer, and all the cute little kids around the world would dance with them to find the solution. And at the end of the dance, they would find the answer and everybody will end up being happy. The dance was created to promote rational thinking in kids. But, what about us, adults? If one thinking process is equivalent to one Noodle dance, how many times do we Noodle dance a day? Technology has made our life simpler but it shouldn’t make our society dimmer. One fine day and this is a true story, I asked a fellow colleague a ‘tricky’ question. What is the sum of 3x3+3? She thought for a while before grabbing her calculator and giving me the answer very slowly like she was second guessing herself. What have we become? A simple equation like 5+5 also requires an iPhone 4’s calculator to answer. We rely too much on Wikipedia, we chat with too much nonsense and short forms on social media and in the process of all these, we refuse to think. We can’t separate thinking from our lives. Ideas make the world interesting and ideas, no matter how small, is never trivial. Thinking process and rational thinking are very important in building a healthy society and a healthy company. Physical exercise is always emphasized on these days, but what about mental excersize? 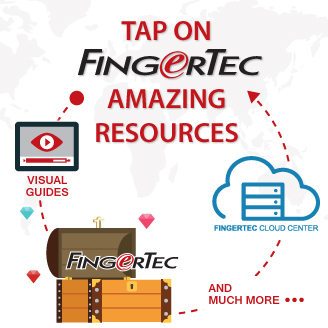 At FingerTec, we even have a channel for employees to submit any new ideas in return for a monetary reward. We want to create a culture where thinking processes is not only relevant to the top management; it should be relevant to all levels. The questions include how to make our work better and contribute more to the progress of the company and the brand we are working for. A logistic staff could contribute ideas concerning the packaging process, to reduce the time taken to prepare all items and to reduce the transportation costs for our clients. Work process could be made simpler and better when thinking processes take place. Whenever a question is thrown at you, the worst answer you could give is “I don’t know” This shows the level of commitment you have into something you do and how you refuse to use your brain in the process. When we were younger, our parents did their best to make sure that we have the best brain in the world. Sadly, as we grow up, we tend to forget to use this very capable organ to better our lives. So, what say you if we do the Noodle dance whenever you are stuck with a problem?